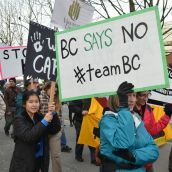 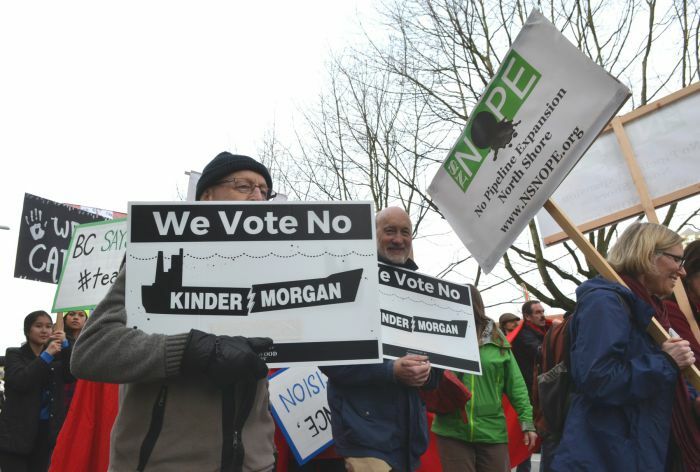 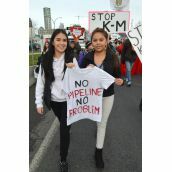 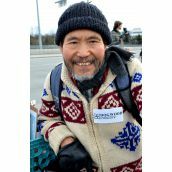 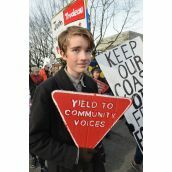 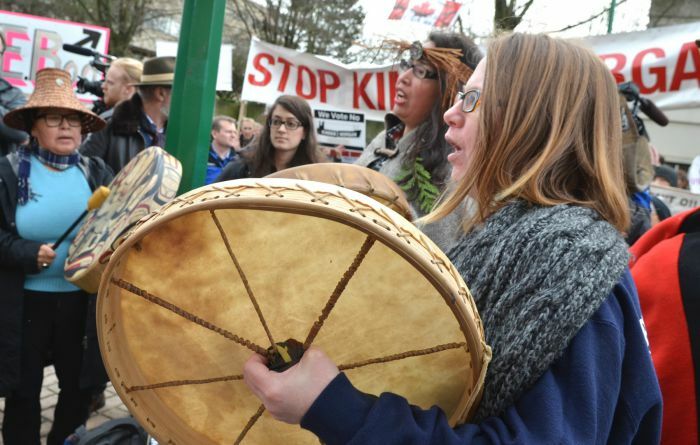 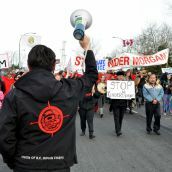 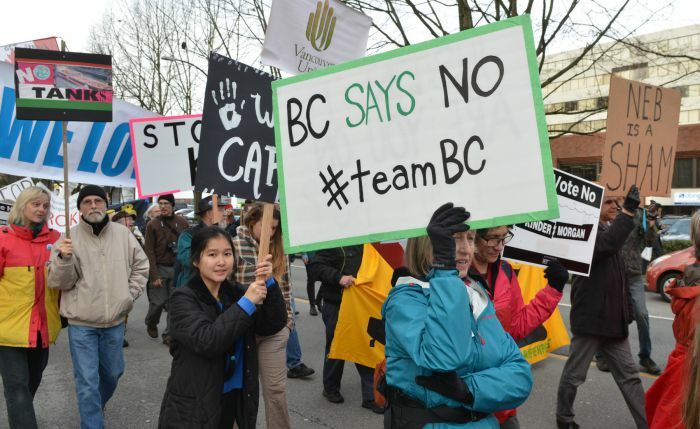 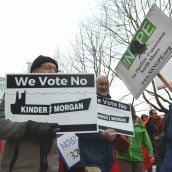 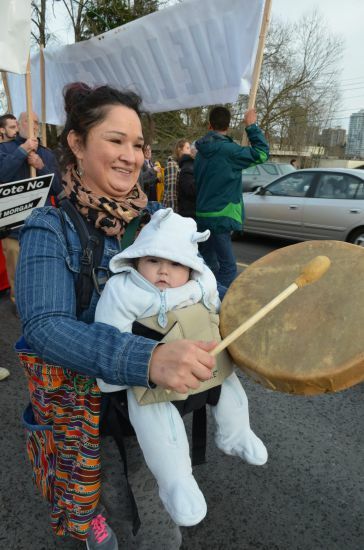 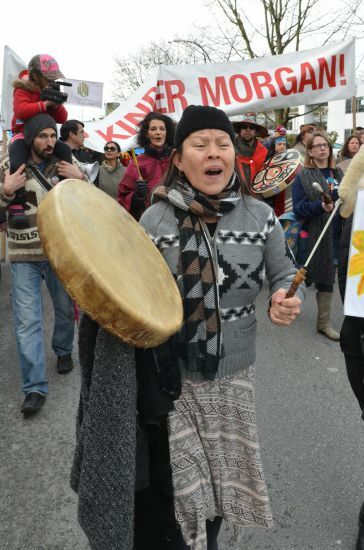 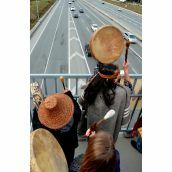 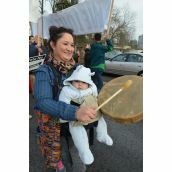 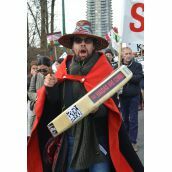 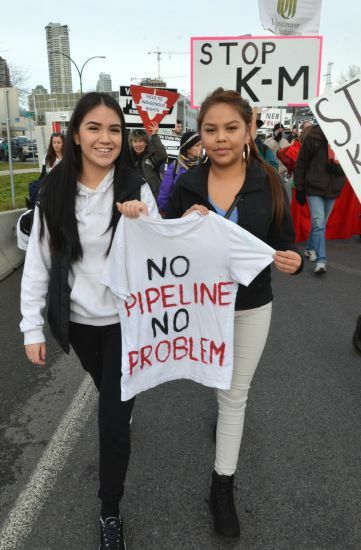 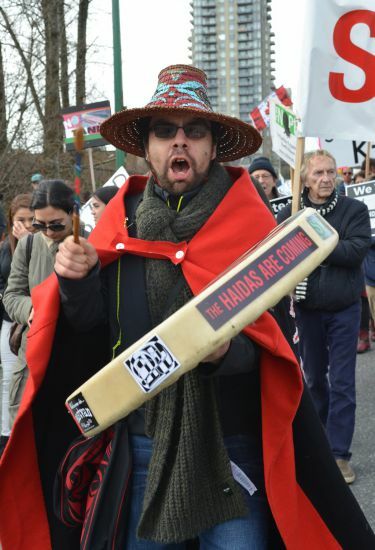 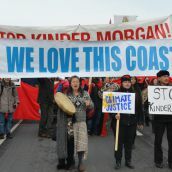 BURNABY - More than 150 opponents of Kinder Morgan's Trans Mountain pipeline expansion plan marched to the site of National Energy Board Hearings on the company's application today. 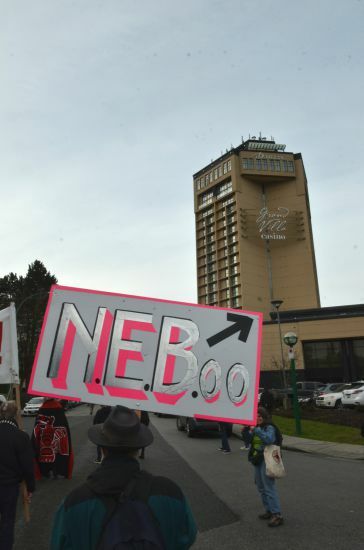 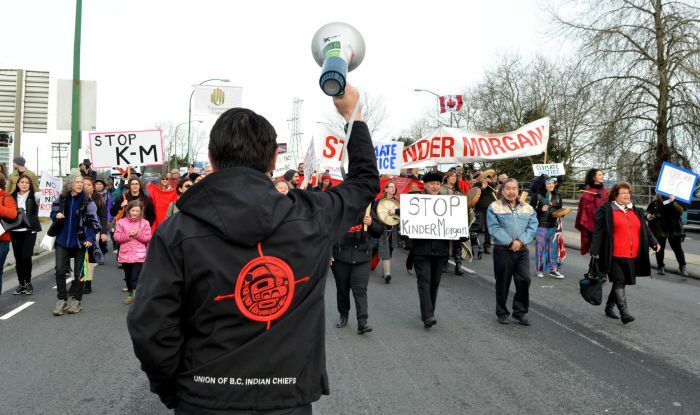 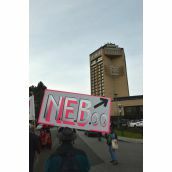 Speakers including Union of BC Indian Chiefs Grand Chief Stewart Philip called on the NEB to suspend the final arguments for intervenors at the Delta Burnaby Conference Centre this week. 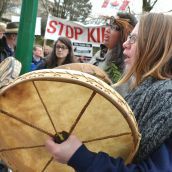 Phillip called on Prime Minister Trudeau to follow through on his pre-election promises to totally revamp Ottawa's environmental assessment and review process. 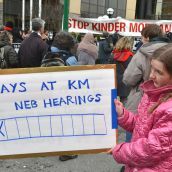 The speakers called for the present hearings to be suspended until the rubber stamp system set up by the Harper Conservatives can be dismantled and a fair process established. 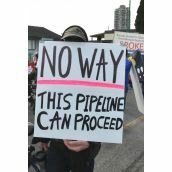 They also pointed to not being allowed into the hearings, even though the meetings are being held on unceded First Nations land. 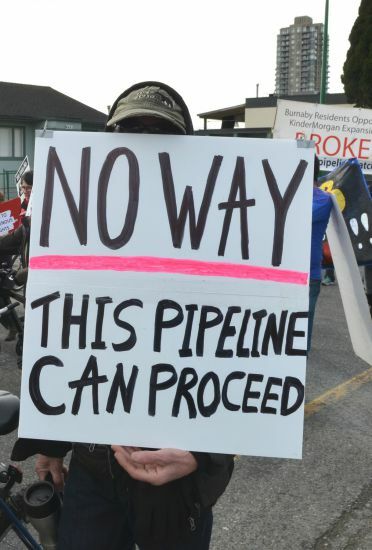 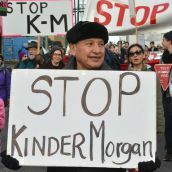 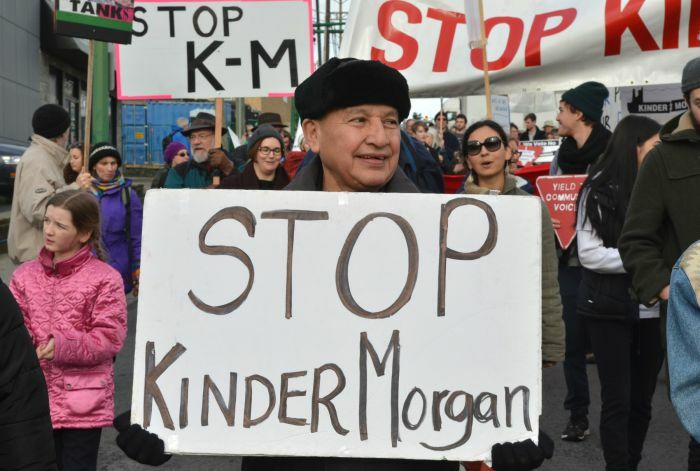 Even the ultra pro-business BC Liberal government has come out against the proposed Kinder Morgan pipeline twinning proposal that would see oil tanker traffic explode in BC waters (to seven times the current rate of five Kinder Morgan tankers a day). 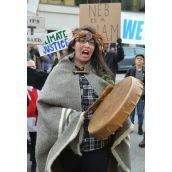 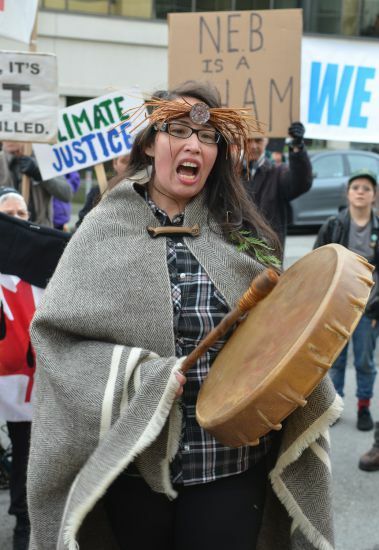 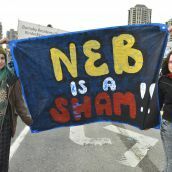 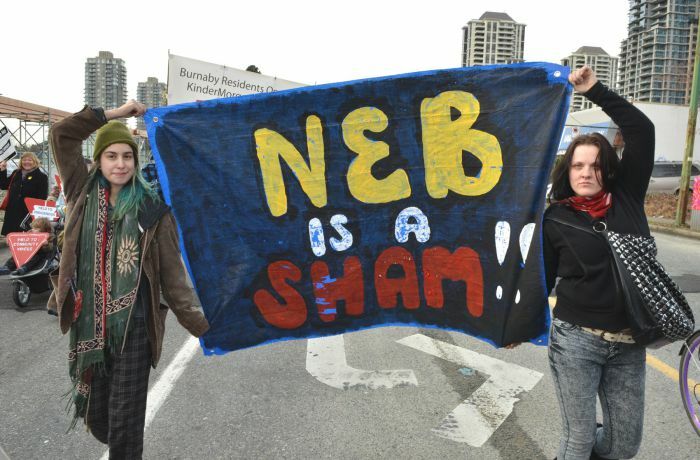 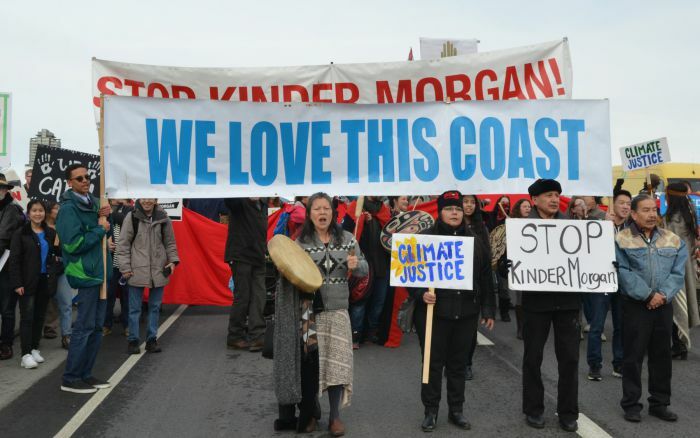 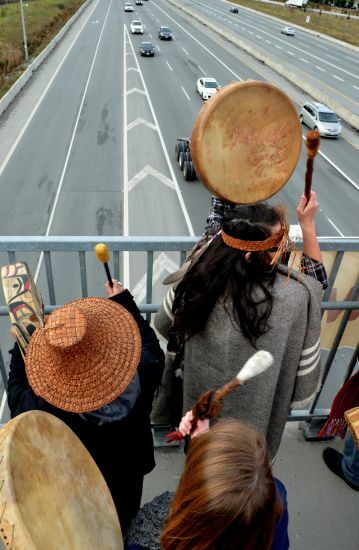 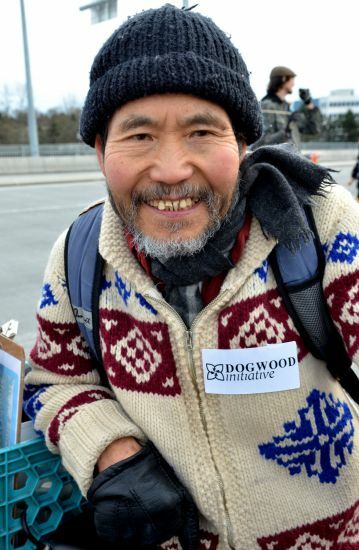 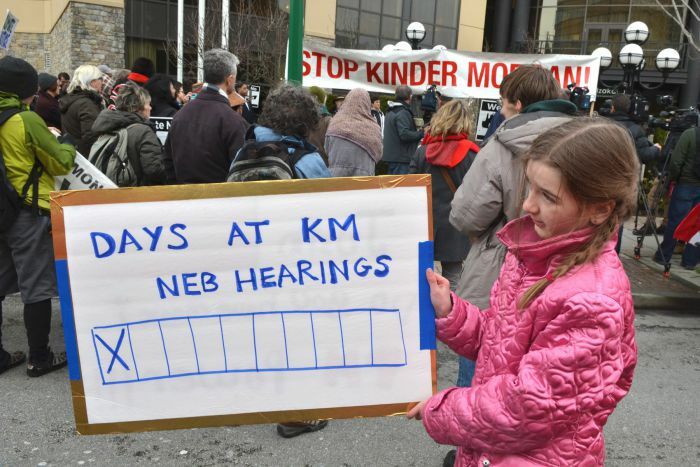 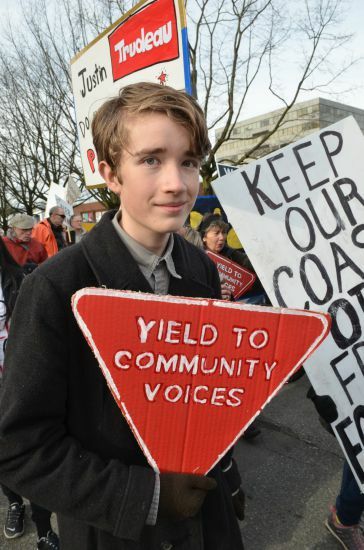 Protests started last week with the seizing of a drilling barge in Burrard Inlet and people chaining themselves to the door of the Vancouver NEB office. 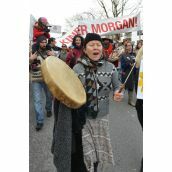 More actions are expected throughout the week.